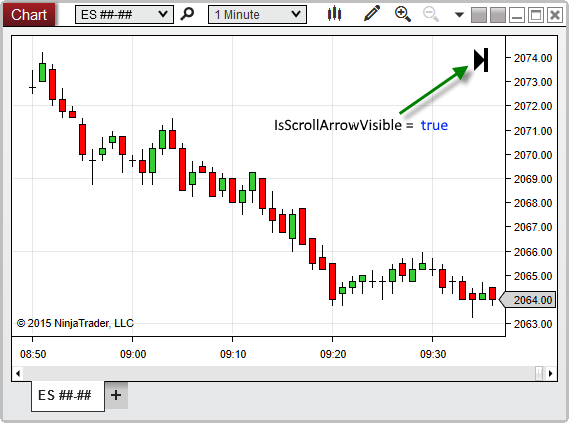 Indicates the time-axis scroll arrow is visible in the top-right corner of the chart. A bool value. When True, indicates that the scroll arrow is visible on the chart; otherwise False. Based on the image below, IsScrollArrowVisible confirms that the scroll arrow is currently visible on the chart.